This book covers Nicholas Hagger’s visit to Iran in January 2007, when he travelled from Tehran to Shiraz, Persepolis and Pasagardae, Yazd, Isfahan, Natanz, Kashan, Qom and Hamadan. The book focuses on the history and culture of ancient Persia and Islamic Iran, and includes visits to Ayatollah Khomeini’s living-rooms in Tehran and Qom and to the Jamkaran well where the Hidden Imam is expected to return soon. This book gets inside the soul of modern Iran in an accessible way, and touches on all the themes in Nicholas Hagger’s other books. 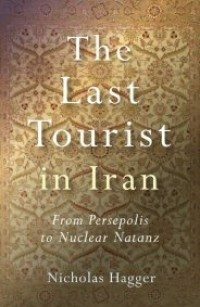 The first book on Iran to combine travelogue with in-depth historical reflection/getting to the heart of the Iranian Islamic mind, this is a reflective look at the cultural heritage and present nuclear crisis in Iran. Iran’s cultural and spiritual heritage is now threatened by policies that may trigger international intervention. A source of Western civilization, it may be destroyed by its main beneficiary, Western civilization. This travelogue is a tour of Iran and explores the rich history of this pivotal country. The Islamic idea is caught by observations of the well of the Hidden Imam and of its expression through the architecture, tiles and calligraphy of historical mosques. The Revolution is brought to life by visits to Ayatollah Khomeini’s living rooms in Qom and Tehran, and to the Shah’s White Palace. And the confrontational policy of contemporary Iran that threatens to engulf Iran’s cultural heritage in the same way that Saddam’s policy wreaked havoc on Iraq’s cultural legacy is caught in a drive past the nuclear site at Natanz.